Electric scooter | PlugInCaroo… Karo plugin… abhi!… save the environment!!! This entry was posted in Electric Bike, Scooter & Motorcycle, Uncategorized and tagged Activa 5G, Best Electric Scooter, best electric scooter India, Electric scooter, electric scooter India, electric scooters, electric scooty, Honda Activa, Honda Activa 5G, i-praise, Okinawa, okinawa electric scooter, okinawa I praise, okinawa ipraise, Okinawa praise, okinawa praise electric scooter, okinawa praise electric scooter price, okinawa praise electric scooter review, okinawa praise price, okinawa praise review, okinawa praise review in hindi, okinawa praise scooter, okinawa praise top speed, Okinawa Praise vs iPraise vs Honda Activa, Okinawa ridge, okinawa scooter, okinawa scooters on March 25, 2019 by PlugInCaroo. This entry was posted in Uncategorized and tagged #AtherElectricScooter, #ElectricScooter, Ather, Ather 450, ather 450 electric scooter, Ather 450 review, ather 450 scooter, ather e-scooter, Ather electric scooter, ather electric scooter review, ather electric scooter specifications, Ather Energy, ather new scooter, Ather S340, Ather Scooter, electric, Electric scooter, electric scooter India, Electric Vehicles, scooter, smart electric scooter, smart scooter on March 1, 2019 by PlugInCaroo. Today lets travel to GoGo-A1 Mart. It is India’s largest EV mall/mart which is situated in Rabale, Navi Mumbai. Rabale lies between Airoli and Ghansoli on the Thane-Nerul Trans-Harbour line. This entry was posted in Bike, Electric Bike, Electric cars, Uncategorized and tagged bike, DIY, Electric Bike, Electric car kit, Electric cycle, electric motorcycle, Electric Rickshaw, Electric scooter, electric scooter kit, EV, go goa, GoGo, GoGo A1 - Largest Electric Vehicles mall in India - Part 1 - Route | PlugInCaroo, gogo plugincaroo, Gogo Rabale, gogoa, Gogoa1, GoGoA1 bicycle, GoGoA1 cycle, GoGoA1 electricbike, GoGoA1 hubmotor, GoGoA1 Navi Mumbai, GoGoA1 navimumbai, GoGoA1 rockerfeller, How to make electric bike, How to make electric cycle, Indias largest electric vehicle mall, Largest electric vehicle mall in India, navi mumbai, PlugInCaroo, PlugInCaroo Gogo, Rabale, Reliance Jio, solar electric bicycle on October 13, 2018 by PlugInCaroo. 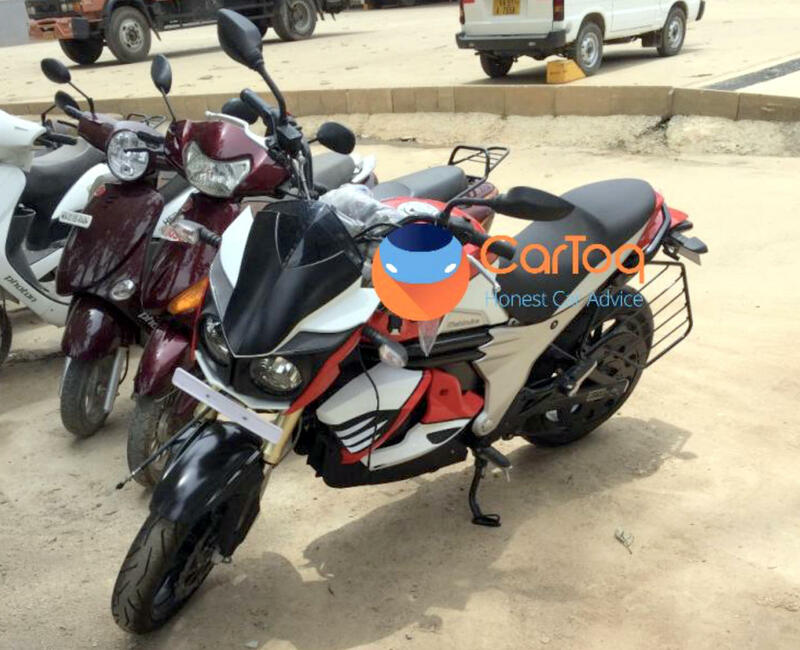 People on the autoblogging sites have been going head over heels over the Mahindra Mojo Electric motorcycle. Is it a vehicle that has been designed as an electric motorcycle or has the MoJo motorcycle (that did not sell) got retrofitted into Electric motorcycle (just like most Mahindra electric cars)? Mojo is the big flop motorcycle brand of Mahindra two wheelers which was launched in October 2015. Till date it has very little impact on the motorcycle market although rivals like Bajaj Dominar, etc continue to enjoy growth. Earlier this year, they divided the Mojo range into two – XT300 and UT300, trying to make the brand accessible to more buyers in the segment… yet the sales have not improved. The Mahindra Mojo electric motorcycle prototype you see above, was clicked by Cartoq reader, parked outside the Bosch factory in Bangalore. Should the govt give Mahindra the licence to retrofit vehicles of ALL make and size? That is what Mahindra seems to have acquired an expertise in? This entry was posted in Bike, Electric Bike, Scooter & Motorcycle, Uncategorized and tagged Electric Bike, electric motorcycle, Electric scooter, EV, Mahindra MoJo, Mojo Electric, Mojo Electric motorcycle, Mojo EV, Mojo motorcycle on August 31, 2018 by PlugInCaroo. This entry was posted in Electric Bike, Uncategorized and tagged Athar, Ather, Ather 340, Ather 450, Ather 450 review, Ather Bike, ather e-scooter, Ather electric scooter, Ather Electric Scooter - Kharide ya nahi? - Part1, Ather Energy, Ather grid, Ather Plugincaroo, Ather S340, Ather S340 review in hindi, एथर 450, एथर इलेक्ट्रिक स्कूटर, एथर ई-स्कूटर, एथर एस्कोटर, Electric Bike, Electric Bike India, Electric scooter, electric scooter India, EV, India, MakeInIndia, PlugInCaroo, PlugInCaroo Ather Energy, review on August 23, 2018 by PlugInCaroo. Buy it – Subscribe it – and forget it! No surprises, no hickups just plain, smooth ride! This entry was posted in Bike, Electric Bike, Scooter & Motorcycle and tagged 2 wheeler, Ather, Ather 340, Ather Bike, Ather Energy, Ather grid, Ather launch, Ather Plugincaroo, Ather Point, Ather pre-order, Ather preorder, Ather Scooter, bike, Electric 2 Wheeler, Electric Bike, Electric scooter, EV, launch, live stream, Livestream, Plugincaroo Ather, S350, S450, scooter on June 7, 2018 by PlugInCaroo. Motorcycle market leader Hero Motocorp is planning an aggressive foray into electric vehicle market by launching both electric scooters and motorcycles. They had invested 30% stake in Ather Energy who is expected to launch their product before Diwali 2018. It seems Ather will be launching more than 1 vehicle! Hero Motocorp will be developing & launching electric motorcycles and scooters under its own brand name. Now Hero Electric was also part of Hero group before it split ways years ago and became an independent entity. This entry was posted in Bike, Electric Bike, Scooter & Motorcycle, Uncategorized and tagged Ecycle, Electric Bike, Electric cycle, electric motorcycle, Electric scooter, Hero Electric, Hero Motorcorp on March 24, 2018 by PlugInCaroo.